It’s my favorite time of year. Time to enjoy cooler evenings, fall leaves, and a trip to Fall on the Farm! Fall on the Farm is the annual fall festival at Blooms and Berries Farm Market (Loveland). Open every day of the week, this is one spot you need to put on your fall outings list. Fall on the Farm is at Blooms and Berries Farm Market, a working farm. The kids will enjoy getting to see all of the farm animals. Families will enjoy a choice of two corn mazes – a full-sized seven acre corn maze plus a kids’ maze for younger families (takes about 15 minutes and the stalks are shorter). The “Mysterious Animal Escapades” is this year’s theme for the corn maze and they have a themed game that kids can play while navigating the maze. Be sure to pick up your game card when you enter the grounds. Bud & Ivy have misplaced their favorite toy while playing outside. Travel the maze and eliminate 7 of the 8 animals suspects to determine who has their toy. Plan 45 – 60 minutes of your visit for this 7 acre fun filled puzzle. Kids can ride the Cow Train or take a tractor-led hay ride out to the pumpkin patch. And “Eye Spy” is back this year, making the kids’ hay ride even more fun. There’s also a pumpkin patch where little ones can choose a pumpkin. And if you want to just play and grab a pumpkin on the way out, they have lots of pumpkins (of all sorts) to choose from at the garden center. Leave plenty of time to play! 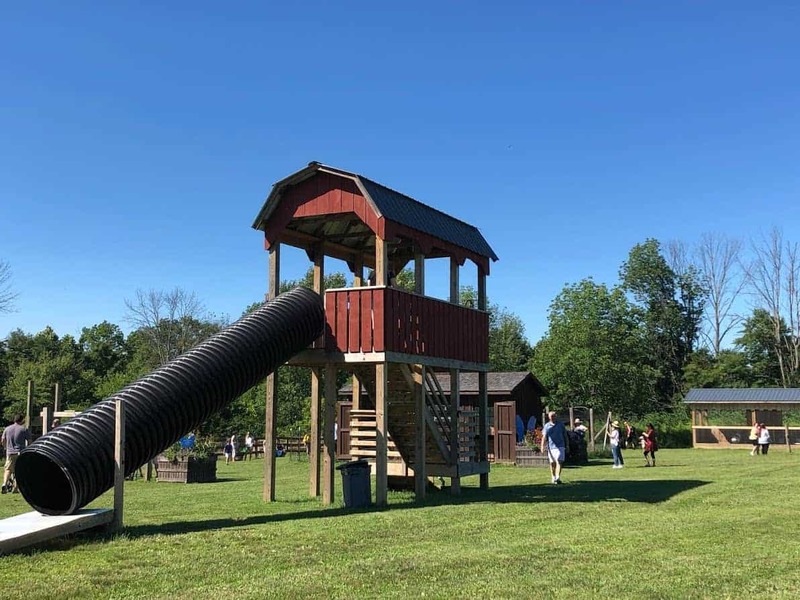 Blooms and Berries has a great play area for the kids called Farmyard Fun, including a giant slide, a huge corn bin (bigger and better than ever), a new “Sound Garden”, Farm Animals and more. 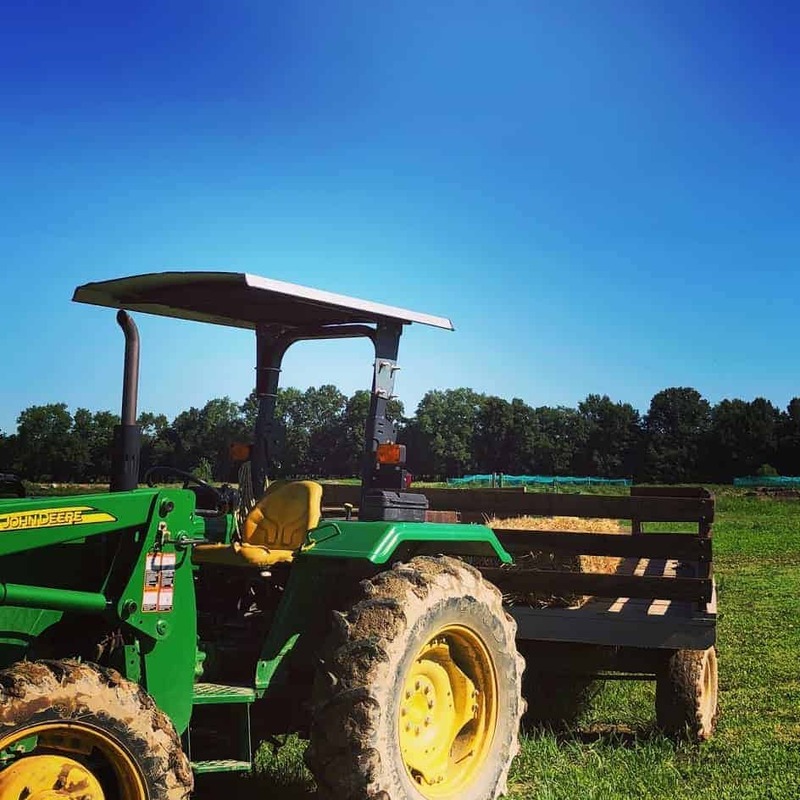 And with this being a working farm, the kids will also love to see the farm animals.You can grab a bite to eat at the Blooms and Berries Farm Market grill or you can pick up some goodies inside the Farm Market. 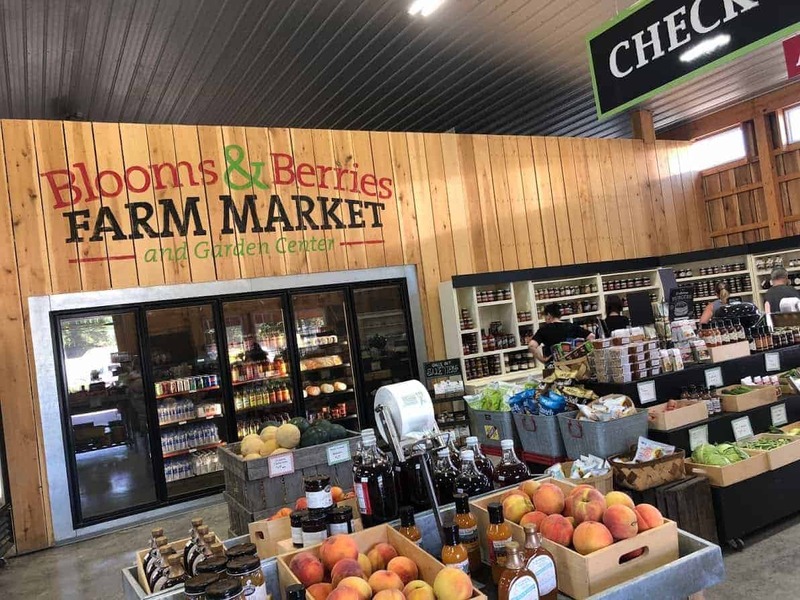 Be sure to stop in at their GIANT Market Barn where you can get all kinds of seasonal fruits and veggies, local apple cider, honey, jarred jellies and salsa, syrup, Halloween decor, and more. You can also pick out a pumpkin from the stash at the Farm Market (including white pumpkins). And be sure to make a stop at the Garden Center where you can get your fall mums or mini straw bales. Opening Weekend for Fall on the Farm is Sept. 22-23. Get discounted opening weekend tickets and if you buy online, you’ll get a free kid’s pony ride (good for Opening Weekend only). Hours are Monday – Saturday: 10am – 7pm and Sunday: 10am – 6pm. Hayrides start Saturday & Sunday 10am and Monday – Friday 12pm. Hayrides end 30 minutes prior to closing. Disclosure: This is a sponsored post. We have been compensated for this post and we also received admission to visit Fall on the Farm in order to gather information to write this post. Regardless of that, know that we only feature activities that we truly love and believe in and this is definitely something we can recommend to you.